Free download Baseball Stars Professional game for PC. It is an arcade game developed and published by SNK in 1990. 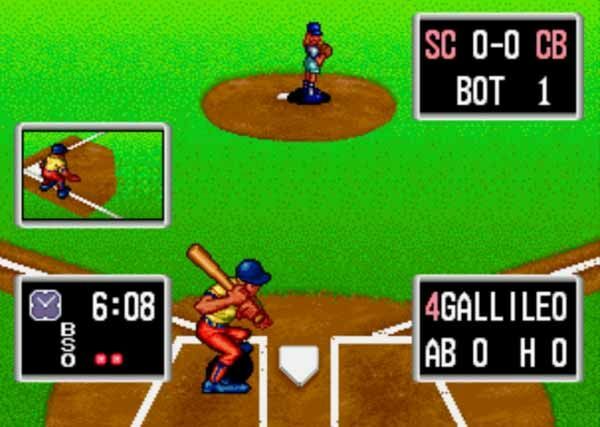 Baseball Stars Professional is arcade game originally developed for Mame with Neo-Geo. The game is very easy to play and enjoyable. You need to download the zip file from the given download link. After that, when downloading complete, extract the file. You will see the folder with name “bstars”. Open the folder and navigate to bottom of the folder. Now open the application file with name “WinKawaks”. Now follow the play method given below with title “How to Play the Game?”. When you start the game, you are asked to select the game mode. Baseball Stars Professional game has two modes; VS and Tournament. You can select any of the given mode. Now you have to select your team. After selecting the team, you need to select field to play the baseball game. Now you are ready to play. If you are on ball side, use A button to throw the ball. Keep it in center. When your opponent hit it you have to follow the ball. You can catch it on air to out, if missed, you need to run using arrow keys from keyboard. Then you have to throw it using A button. If the opponent on the way to the point, he will out or change. If you are on bating side, you need to hit the ball. Use A button to hit the ball. Remember that, you have to wait until the opponent throws the ball. When he throws the ball press A button twice. If hit and then your player will run automatically toward the point. Baseball Stars Professional is very interesting game specially for Baseball lovers. If you are not familiar with baseball then no problem. You can also play and enjoy the game following the gameplay method.